Welcome to https://www.bgcmn.org (“Site”). This website is operated by Boys & Girls Club of Central Minnesota, Inc. (“we,” “us,” “our,” or “Boys & Girls Club of Central Minnesota”). The following terms and conditions (together with any documents referred to in them) (collectively, these “Terms”) apply to your use of our website or other services offered at https://www.bgcmn.org, or through any mobile application we develop utilizing the tools from the website (collectively, our “System”). You are granted a non-exclusive, non-transferable, revocable license to access and use the Site. As a condition of your use of the Site, you warrant that you will not use the System for any purpose that is unlawful or prohibited by these Terms. You may not use the System in any manner which could damage, disable, overburden, or impair the System or interfere with any other party’s use and enjoyment of the System. You may not obtain or attempt to obtain any materials or information through any means not intentionally made available or provided for through the System. All content included as part of the System, such as text, graphics, logos, images, as well as the compilation thereof, and any software used on the System, is our property or the property of our suppliers and protected by copyright and other laws that protect intellectual property and proprietary rights. You agree to observe and abide by all copyright and other proprietary notices, legends, or other restrictions contained in any such content, and will not make any changes thereto. You will not modify, publish, transmit, reverse engineer, participate in the transfer or sale, create derivative works, or in any way exploit any of the content, in whole or in part, found on the System. Our content is not for resale. Your use of the System does not entitle you to make any unauthorized use of any protected content, and in particular you will not delete or alter any proprietary rights or attribution notices in any content. You will use protected content solely for your personal use, and will make no other use of the content without our express written permission. You agree that you do not acquire any ownership rights in any protected content. We do not grant you any licenses, express or implied, to our intellectual property or our licensors except as expressly authorized by these Terms. The System may contain hyperlinks to websites operated by third parties. We do not control such websites and will not be responsible for their content, or for any breach of contract, or any intentional or negligent action on the part of such third parties, which results in any loss, damage, delay, or injury to you or your companions. Inclusion of any linked website on the System does not imply or constitute approval or endorsement of the linked website by us. If you decide to leave the System to access these third-party sites, you do so at your own risk. All rules, policies (including privacy policies), and operating procedures of websites operated by third parties will apply to you while on such sites. We are not responsible for information provided by you to third parties. You agree to indemnify, defend, and hold harmless Boys & Girls Club of Central Minnesota, its officers, directors, employees, agents, and third parties, for any losses, costs, liabilities, and expenses (including reasonable attorneys’ fees) relating to or arising out of your use of or inability to use the System, your violation of these Terms, or your violation of any rights of a third party or your violation of any applicable laws, rules, or regulations. We reserve the right, at our own cost, to assume the exclusive defense and control of any matter otherwise subject to indemnification by you, in which event you will fully cooperate with us in asserting any available defenses. Visiting the Site, using the System, or sending emails to us constitutes electronic communications. You consent to receive electronic communications and you agree that all agreements, notices, disclosures, and other communications that we provide to you electronically, via email, and on the System, satisfy any legal requirement that such communications be in writing. To opt out of receiving marketing emails from us, follow the “unsubscribe” link on the email to change your user preferences. There are certain system-generated and legal notices that you cannot opt out of without deactivating your account. 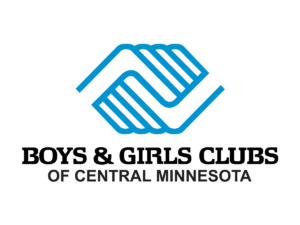 BOYS & GIRLS CLUB OF CENTRAL MINNESOTA AND/OR ITS AFFILIATES OR SUPPLIERS MAKE NO REPRESENTATIONS ABOUT THE SUITABILITY, RELIABILITY, AVAILABILITY, TIMELINESS, AND ACCURACY OF THE INFORMATION, SOFTWARE, PRODUCTS, SERVICES, AND RELATED GRAPHICS CONTAINED ON THE SYSTEM FOR ANY PURPOSE. TO THE MAXIMUM EXTENT PERMITTED BY APPLICABLE LAW, ALL SUCH INFORMATION, SOFTWARE, PRODUCTS, SERVICES, AND RELATED GRAPHICS ARE PROVIDED “AS IS” WITHOUT WARRANTY OR CONDITION OF ANY KIND. BOYS & GIRLS CLUB OF CENTRAL MINNESOTA AND/OR ITS SUPPLIERS HEREBY DISCLAIM ALL WARRANTIES AND CONDITIONS WITH REGARD TO THE SYSTEM AND RELATED INFORMATION, SOFTWARE, PRODUCTS, SERVICES, AND RELATED GRAPHICS, INCLUDING ALL IMPLIED WARRANTIES OR CONDITIONS OF MERCHANTABILITY, FITNESS FOR A PARTICULAR PURPOSE, TITLE, AND NON-INFRINGEMENT. To contact us, email us at club@bgcmn.org.